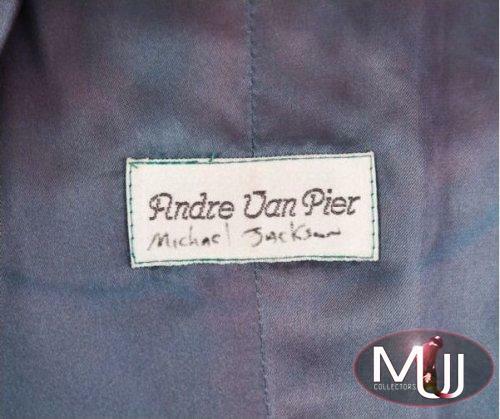 Pink jacket with rhinestone studs that was custom made for Michael in 1983-84 by designer Andre Van Pier. 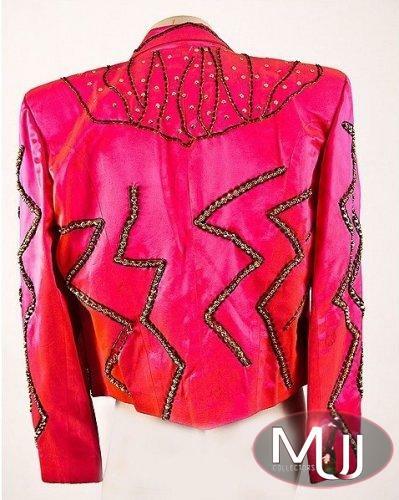 According to "Gotta Have It", this jacket was "stage worn" for "Beat It." 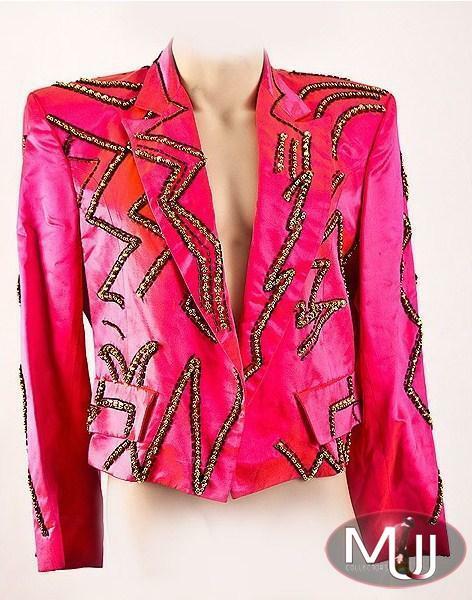 Sold by Gotta Have It (Lot #11) for $3,120 at their 3/11/10 Rock & Roll Pop Culture Auction. All screen captures are the property of their respective owners.